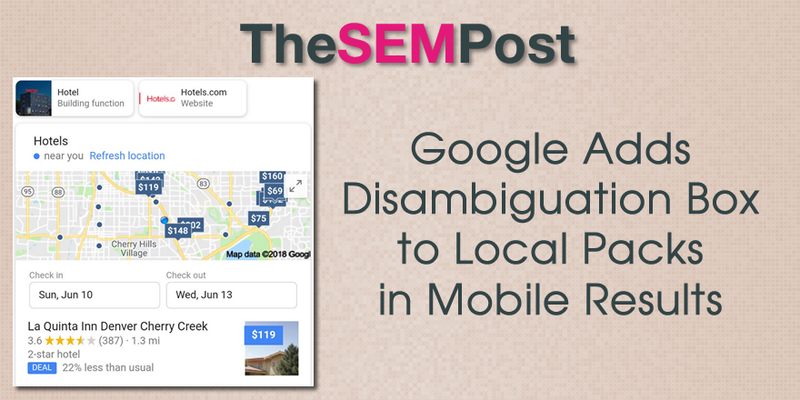 Google is testing a disambiguation box which shows up on the mobile search results for a local pack. Disambiguation features in the search results show up when Google isn’t entirely sure which meaning of a word someone is trying to search for. Google is asking whether someone is searching for a hotel, or specifically for hotels.com website, with two options that can be clicked. Especially noteworthy is the fact that one is a brand website, complete with a brand logo. Cindy Krum first spotted the test. Google has done plenty of disambiguation options in the search results – the most common example is Apple the company or apple the fruit. 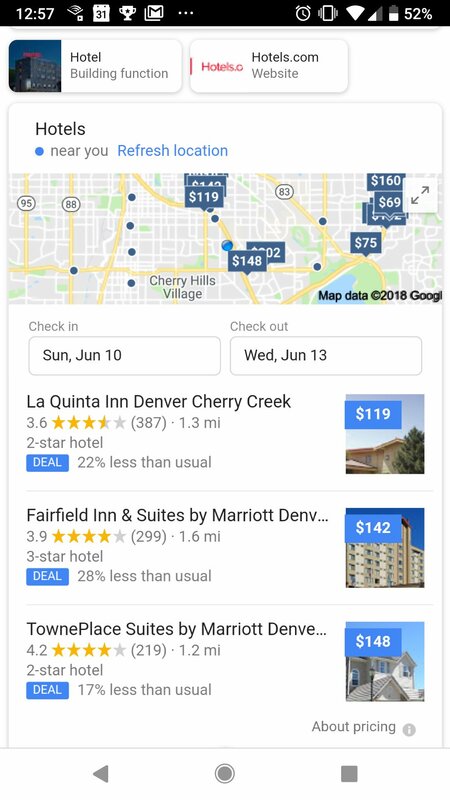 But that is normally at the top of the search results, while this one appears above the local hotel map pack, and below AdWords ads that generally appear before map packs. This appears to be a test at this time, as I cannot replicate it.